The first book in this series was high on my list of favorite YA reads last year, and Tarnished City is quite possibly even better. This is a darker, grittier read and the world-building continues to be phenomenal. Every character is so well-drawn – the depth is exceptional. 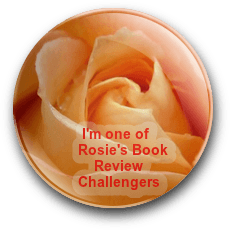 Be prepared – deaths, betrayals, and surprises abound, and my jaw drops to page number ratio was exceedingly high. As with the first novel, many of these characters aren’t what they initially seem, but Silyen continues to intrigue me the most. I feel like there’s a clue right in front of me, but he remains an enigma. Such a complex storyline – politics, rebellion, power struggles – a YA read that doesn’t underestimate the intelligence of its audience. Highly recommend! 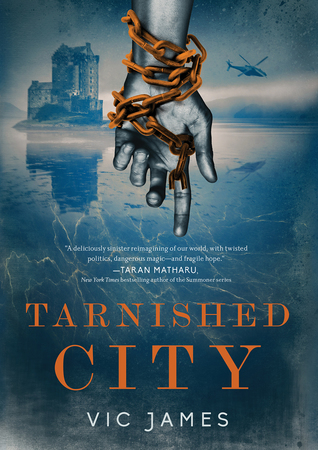 Tarnished City is scheduled for publication February 5th, 2018. You’ve captured my attention Teri. I like that the cover begins the story before the book is even opened. Thanks for this review. Hugs. This is one of my favorites, Teagan, and with this book being just as strong or stronger than the first, I have high hopes for the rest of the series. Hugs! Argh! TBR pile. Once I add the first… What a gorgeous cover, too! 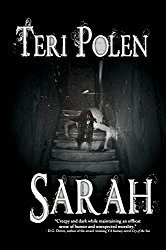 If you didn’t already add this series, I’m afraid I’d have to insist upon it, Sarah. You won’t be sorry! I might have… I can’t keep track anymore! But I will add the first one if I haven’t already. If you liked it, I’m fairly certain I will, too. I echo Sarah’s comment. This sounds fabulous, Teri. And just when I’m getting my TBR pile under control. Ugh. Adding this series to the pile! ‘TBR pile under control’? This is a foreign concept to me, Diana. That cover! I need to read book 1! Oooh – you would really enjoy this series. Such an original concept with fascinating characters.